There is something about light and magic; those moments that allow you to better experience an extension of yourself and the objects around you, in just a split second. 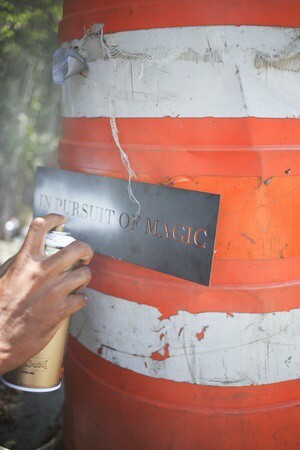 In Pursuit Of Magic (IPM) is a global movement that manifested between two street artists in 2012. Founded on the principle of being a constant “crusade to elevate consciousness and amplify meaning in the world,” these two artists have provided an opportunity for people to continue to explore light and magic. 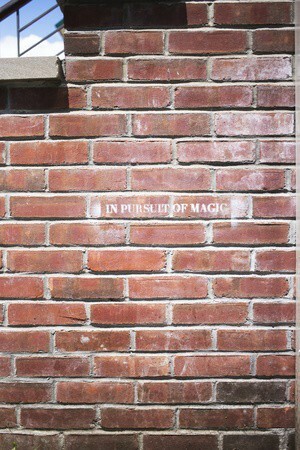 They make sure to remind us that the magic we are constantly in pursuit of, is also pursuing us. On a particularly bright day in the Lower Westside of New York, we briefly caught up with one half of IPM to discuss how they approach spreading light and magic around the world. One of the beautiful aspects about the messaging behind In Pursuit Of Magic is that it is strictly in the hands and minds of the viewer to define what it means for themselves. There is something quite remarkable about walking around a large metropolitan city such as New York, being surrounded by the hustle and bustle of life occurring all around you. Then, as if by design, you’re embraced by a subtle stenciling that reminds you that we are all in pursuit of magic in some way, shape or form. “When people find the words they seem to be lifted up into a state of joy & hope,” says one of the founding artists. There are many reasons why people who have encountered the three word mantra identify with it differently. 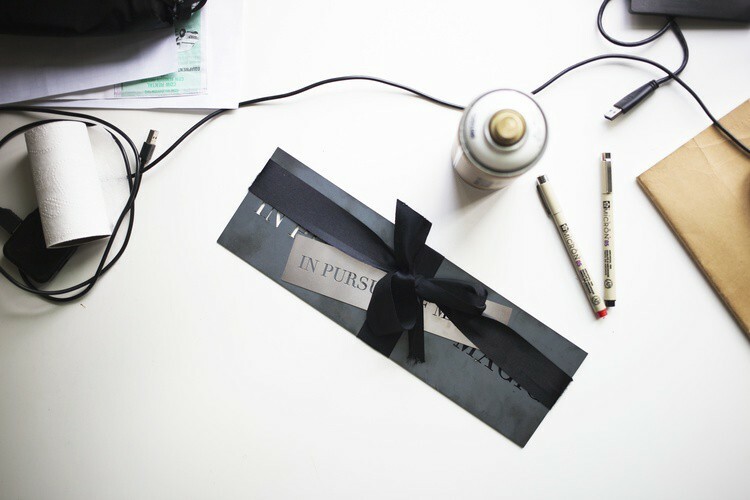 As creatives, our energies are constantly. The majority of the things that deeply resonate with us begins with our current mental and emotional states. Both of the artists believe that the reason these words speak to any and everyone is due to the powerful energy that fuels them. “It’s amazing the power and resonance that words can have in peoples lives, it’s been a powerful tool for awakening and change,” says one of the artists. Not only do both of the artists believe that seeing the words at the right moment can shift the movement and flow of your day, but it also has the potential to influence your approach towards life. They explain how when individuals connect with the words “they seem to be lifted into a state of joy and hope” which provides them with a deeper understanding of themselves and their purpose for being. Knowing that others will find the “trail of magic and join into the collective joy” is the main focus towards their approach. 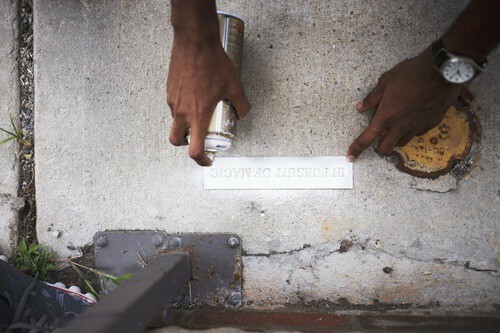 “We’ve heard stories where seeing these words changed the course of peoples lives in very positive ways.. there’s not much more we could ask for…” says one of the artists. The movement is constantly evolving and they are positive that it will continue to be apart of their lives until the end of time. They both believe that approach involves the movement towards one another and with that other individual at your side how you approach the collective. Until we are all somehow connected to each other. “We are living a life IN PURSUIT OF MAGIC and we will keep spreading the message and being agents of change. 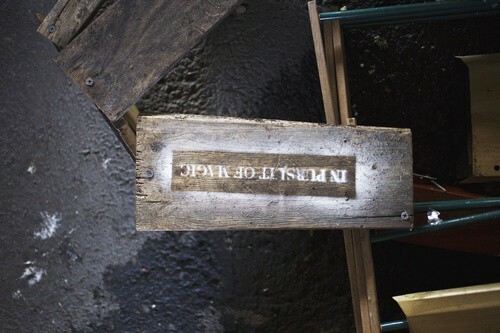 It leads us and we listen…” says both of the artists.